This is a tough call.. as both are good and both cater to Non-natives. If you are located in a city, where there's a Crack Verbal centre I would recommend you meet the folks there before making a decision. Depending on the course (i.e. Full Course/ On Demand) you opt for, I feel e-GMAT has a fixed schedule and is not flexible while CrackVerbal tries to manage the timings of all participants. Cravkverbal has a very active forum where you can discuss doubts with your peers/ competitors.. And in case you need any personal advice CrackVerbal is just a phone call away compared to e-GMAT which is in an altogether different time zone. If you compare the instructors, both guys are great to hear to and have ton of real life experience which help you keep motivated during the Quest to ACE the GMAT. Both have aced not only the GMAT but also other competitive exams, so no difference as such. Rest is your decision. Join where you feel comfortable and confident. I was also in the same dilemma after taking my first gmat test...scoring a 34...after going through a lot of forums and considerable brain storming, i finalized on crackverbal dot com to go with...one point though, both are strong institutes and work on foundations...e-gmat gets a beating in cost comparison...as concepts are the backbone for the mode of delivery for both, its very personal choice to make...i have not taken my gmat again yet...but after completing first round of sessions, i retook mgmat test 1 again on which i managed to move from 32(earlier) to a strong (45)...although its true that some questions were repeated but still getting at 45 was a dream which became true only after understanding the nuances....also,understand that crack verbal is now appealing to digital mode audience as well..so i think you really have a tough choice to make...for whatever be the choice, all the best!!! I would say Crack verbal because the institute is amazing in delivering a very good quality of Gmat study especially verbal (does not mean quant is not good ) . Instructors of there team are subject matter experts, and they help you achieving your desire of Gmat. Thanks everyone for the replies. I decided to go with e-gmat. I would post my feedback for the material after I take my exam. thank you everyone for the sharing. it is very useful review for me and i am sure many others who are seeking to attend such course but don't know which one is better. will definitely take a trial class and decide. thank you guys! One obvious advantage with e-gmat is the flexibility of the course schedule. You can look into the videos as per your schedule and you can finish it at the pace that suits you. In my case, I was preparing full time and I could spend more hours a week on the courses and thus finish the courses quicker! These are high definition videos of what we tech in our classrooms. Of course, this comes along with our famed support system. You can see sample videos on the site to assess for yourself. Originally posted by arun@crackverbal on 23 Aug 2013, 02:02. Last edited by arun@crackverbal on 20 Oct 2015, 04:11, edited 1 time in total. These are videos of actual classes, along with our famed support system. Do let us know (fill out the form) if you want a sample video to assess for yourself. It seems nothing of the above is stated on the site. 1. I am not sure what you mean by study modules - we include all of SC, CR, and RC. We also have the entire Quant. Unlike other prep companies where there is a ppt + voiceover. In the CrackVerbal videos you will experience the actual classes that we run in Bangalore. Here is a sample: . This is the 1st hour of the CR class where I introduce CR to the uninitiated - this is followed by 11 more hours where a majority of it is spent solving questions. 4. Price for the course is Rs.12,500/+ 12.36% Service Tax - roughly around $200. The best thing about this course is that since we are based out of India (Silicon City Bangalore to be precies ) - we are just a phone call away. You can speak to an instructor directly over the phone - something no other online test prep company can afford to give. We will be couriering you our set of CrackVerbal Guides (500+ pages of theory, examples, drills, and hand-picked questions that best reflect the current GMAT). I'm arun's student. I am doing rc with him and already completed sc n cr. ARUNS grasp over cr is just too good. Sc is okay but he helped me to improve a lot whereas e-gmat sc is comparably better. When it comes to rc arun never tries to shoot his students down with a series of theory. He is more of a person who tries to develop a sense in his students mostly common in answering questions. Apart from the books arun knows how to keep the motivation high. I respect arun for so many reasons but I love the way he teaches. As a group moderator I am saying this by what I have observed and feedbacks that I have recieved. I'm not trying to support any Prep company. Ps I have no idea about e-gmats rc n cr. So can't comment. 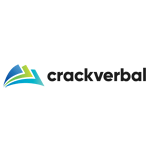 has anyone taken the crack verbal online course with Suresh? 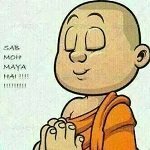 cv v/s e-gmat online ?? the better one?? I suggest you come over tomorrow and see for yourself. We are co-hosting a webinar: http://www.crackverbal.com/gmat-strategy-webinar/#! What is the feedBack of Suresh Sir of Crack Verbal .. Is he good??? Suresh has a 760 on the GMAT with a whopping 47 in Verbal. He is one of our most popular faculty - I'm pretty sure you'd love his class. If you are interested, you can attend one of his classes for free, and then decide whether to take up the course. You would be part of an actual class and not a "demo". I attended crackverbal.I see no options to clear doubts.I have mailed my doubts a couple of times to which I get a response only after 2-3 days.By then either I forget the question or get an alternate solution.The same thing happens in the forum as well. We are sorry you had a less than awesome experience. In fact after this post I just check my records to see that when you raised it with us - I even personally tried calling you and left an SMS to understand the situation. But post that since I did not hear from you I did not know how I could fix it. If you wish to talk to me then just call me on my personal number that is on emails to all CrackVerbal students. Would anyone like to share the cost of Crackverbal verbal course with me? I have bought the course only 2 - 3 weeks ago but not really keen on continuing.